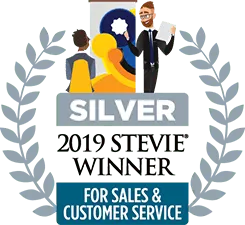 Boston, MA – March 29, 2019 – Pointillist today announced that it has won a Silver Stevie® Award for Best Business Intelligence Solution – New Version. More than 2,500 nominations from organizations of all sizes and in virtually every industry were evaluated in this year’s competition. Winners were determined by the average scores of more than 150 professionals worldwide in seven specialized judging committees. The Pointillist customer journey analytics platform enables rapid discovery of customer insights, to help companies dramatically improve customer experience and marketing results. The platform reveals the actual paths customers take, as they engage with a company across touchpoints and over time. In minutes, users of the platform can connect the dots between customer interactions and quantitative metrics such as revenue, churn and customer lifetime value. Unlike other solutions that merely unify customer data, the Pointillist platform reveals high-impact customer insights and enables engagement with customers at optimal points along their journey. Pointillist is a business unit of Altisource Portfolio Solutions, S.A. (NASDAQ: ASPS).